New York-based multinational investment bank Goldman Sachs is making another step forward in its bet on the cryptocurrency market. The firm, led by chairman and CEO Lloyd Blankfein, is reportedly considering a plan to offer custody for cryptocurrency funds. A large and credible institutional player becoming a custodian could be the news the crypto industry in the United States was waiting for. Custody services of cryptocurrencies are a game changer for the market within the institutional scope. San Francisco-based virtual currency exchange Coinbase, the largest operator in the United States with over 13 million users (data of November 2017) and $1 billion in revenue, was the first to offer custody services to institutional clients, which means the company holds securities on behalf of the funds, hence reducing risk for customers. While being a giant among its cryptocurrency peers, Coinbase is still a young company and fully invested in one single and volatile asset class. Goldman Sachs, on the other hand, has a long history of success in investment banking and is one of the most powerful influencers in capital markets. 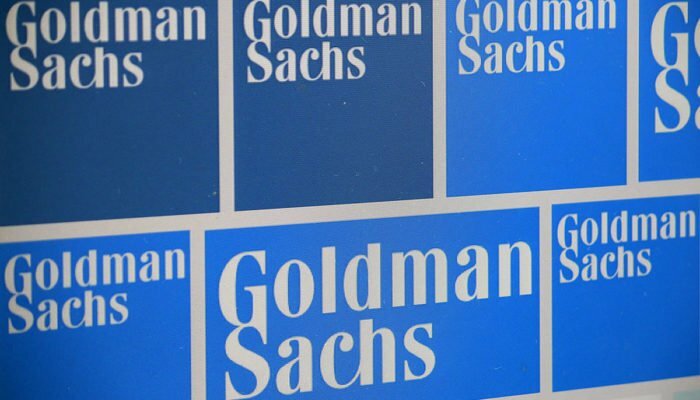 The entry of Goldman Sachs in the cryptocurrency market as a custodian could make a significant impact on the ecosystem as institutional players would most likely lower their concerns about losing their funds to hackers. The initiative might also move prime brokerage services providers into the digital asset class. “In response to client interest in various digital products we are exploring how best to serve them in this space, At this point, we have not reached a conclusion on the scope of our digital asset offering”, a spokesperson for Goldman Sachs told Bloomberg. The investment bank has been regularly on the news for its efforts to dive into the cryptocurrency market by creating “its own, more flexible version of a future, known as a non-deliverable forward, which it will offer to clients”. Ari Paul, the co-founder of BlockTower, said the lack of trusted custodianship and a suite of institutional cryptocurrency products was the last barrier preventing institutional investors from entering the cryptocurrency market. Goldman Sachs’ entry as a custodian might be the much-needed push for the capital markets industry. The Bloomberg report also added that at least three large Wall Street custodians are developing or exploring cryptocurrency custody services: Bank of New York Mellon Corp., JPMorgan Chase & Co., and Northern Trust Corp.